Lisle, Illinois (September 6, 2018) — Globally, forest trees are increasingly at risk from habitat destruction, pests and disease, and a changing climate. But the guidelines for effective preservation of a tree species' genetic diversity and adaptive potential have been limited to simple mathematical equations for crop collections from the 1970s, or best guesses based on intuitions. 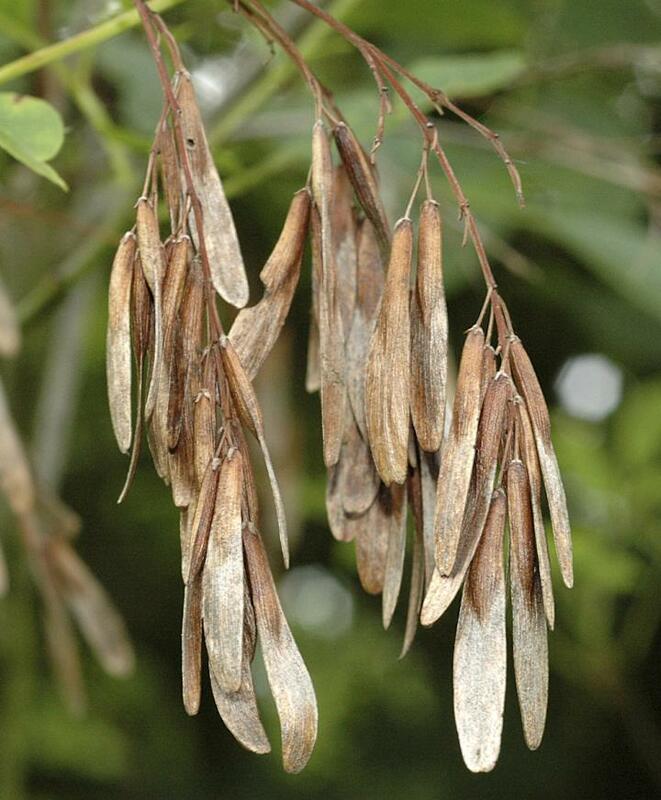 The UKNTSP has banked seeds from more than 60 populations of ash trees in Britain, and Hoban, Kallow and Trivedi wanted to ensure as much genetic diversity as possible was being preserved with these seed collecting efforts. They developed a model of a detailed genetic survey specific to ash trees, considering the amount and distribution of the species' diversity. Greater seed sampling from trees in certain areas (such as margins versus centers of ranges) can prove beneficial. The researchers identified when an ash population had optimal seed sampling, looking at the number of populations, the amount of trees per population, and the quantity of seeds collected from each tree. They also established a guideline for genetic equivalence – that is, where different sampling strategies capture similar genetic variation – so when optimal sampling cannot be conducted, more sampling in the surrounding area could take place to compensate. "This is a breakthrough for the future of tree conservation, as we can now better target our seed collecting efforts, which will help us save more tree species," said Hoban. "Prior to this study, we had systems that were sometimes effective at saving species, but they were not always efficient, in terms of using our limited resources and preserving genetic diversity." "The ash is an iconic species in the British landscape; it's the third most common tree in our forests but it is under significant and immediate threat from ash dieback. The UKNTSP has been working with partner organizations throughout the UK to capture the genetic diversity of this species in the Millennium Seed Bank before it's too late," said Trivedi, UK Conservation Partnerships Coordinator at The Royal Botanic Gardens, Kew. "This study has enabled us to quantify the likely proportion of genetic diversity that the project has already conserved and provides guidance on how best to improve our sampling strategy." In the case of the ash population the researchers studied, The UKNTSP has been very efficient and likely captured 90 percent of the genetic variation of ash found in Great Britain. Still, work remains to be done. For an ambitious conservation goal for this severely threatened species, at least twice as many tree populations would need to be visited for additional seed collection. The study appears in the September 2018 issue of the journal Biological Conservation. The Morton Arboretum is an internationally recognized outdoor tree museum and tree research center located in Lisle, Illinois. As the champion of trees, the Arboretum is committed to scientifically-informed action, both locally and globally, and encouraging the planting and conservation of trees for a greener, healthier, and more beautiful world. On 1,700 acres are 222,000 plant specimens representing 4,500 different kinds of plants, along with specialty gardens, educational exhibits, the award-winning Children's Garden, 16 miles of hiking trails and the Visitor Center, featuring The Arboretum Store and the Ginkgo Restaurant and Café. The Morton Arboretum is a not-for-profit 501(c)(3) charitable organization, welcoming 1.1 million visitors annually and serving 46,200 member households in 2017. Learn more at mortonarb.org. The Royal Botanic Gardens, Kew is a world famous scientific organization, internationally respected for its outstanding collections as well as its scientific expertise in plant diversity, conservation and sustainable development in the UK and around the world. Kew Gardens is a major international and a top London visitor attraction. Kew's 132 hectares of landscaped gardens, and Wakehurst, Kew's Wild Botanic Garden, attract over 2.1 million visits every year. Kew was made a UNESCO World Heritage Site in July 2003 and celebrated its 250th anniversary in 2009. Wakehurst is home to Kew's Millennium Seed Bank, the largest wild plant seed bank in the world. Kew receives approximately one third of its funding from Government through the Department for the Environment, Food and Rural Affairs (Defra) and research councils. Further funding needed to support Kew's vital work comes from donors, membership and commercial activity including ticket sales. The UK National Tree Seed Project was launched in 2013 by the Royal Botanic Gardens, Kew, in partnership with players of People's Postcode Lottery and others. The project aims to secure genetically diverse collections of UK native trees and shrubs and was sparked by the need to protect the nation's woodlands in the face of the spread of pests and diseases such as ash dieback.